‘Rajput Karni Sena’ and ‘A class of Rajputs’ living in India did all they could to stop Padmaavat, but despite that Padmavat is proving to be the biggest hit of Sanjay Leela Bhansali’s career. Not only for Bhansali, Padmavat has proved to be the biggest hit of the career of Deepika Padukone, Ranveer Singh and Shahid Kapoor. Padmaavat established that no matter how much you criticise a movie, if the audience gives it a thumbs-up and the ‘Word of mouth’ is positive, then no one can stop a film from being a blockbuster. Padmaavat is ‘on’ to becoming one of the biggest hits of Indian cinema even after it was not released in five states. Padaamavt box office collection stood at whopping 124 crores in the first week of its release. As you people know, Padmaavat had paid previews on Wednesday and the total collection from paid previews was about 5 crore. From Thursday itself, Padmaavat was shown in theaters all over the country except Rajasthan, Gujarat, Madhya Pradesh, Goa and a large part of Bihar. Padmaavat was a solo release as the producers of Padman and Aiyaari were forced to shift their release. Check out Padman box office Collection and Aiyaary box office collection report. On Thursday, despite not a holiday, the film managed to collect 19 crores at the box office. Friday proved to be the best day for the film because the film earned a whopping Rs 32 crore at the box office. If the film was released in these provinces Rajasthan, Gujarat, Madhya Pradesh, Goa, and Bihar; then it would have been easy to see a figure of 40-45 crores. The collection fell short on Saturday but Saturday’s total was 27 crores. The movie got back on Sunday and Sunday’s total was 31 crores. On Monday, Padmaavat Box Office Collection was 15 crores. These collections report is comprised of all versions of the film i.e. Hindi, Tamil, and Telugu. The film was released in 2D, 3D, and IMAX. Till Monday, the total box office collection of Padmaavat stood at 129 crores. It has been established that if the ‘word of mouth’ is positive then there is no stopping for the film. It works in reverse direction also, You have seen that big films which take a great start, fails at the box office if the ‘word of mouth’ is negative. Negative publicity of Padmaavat turned positive because the collections are proving that the negative publicity did not register in the people’s mind. It is being said that soon the film will be released in the states where it was not released earlier due to agitation. If this happens, then the movie will be able to make around 325-350 crore, and if not then still Padmavat will be able to collect at least 240-250 crore at the box office. 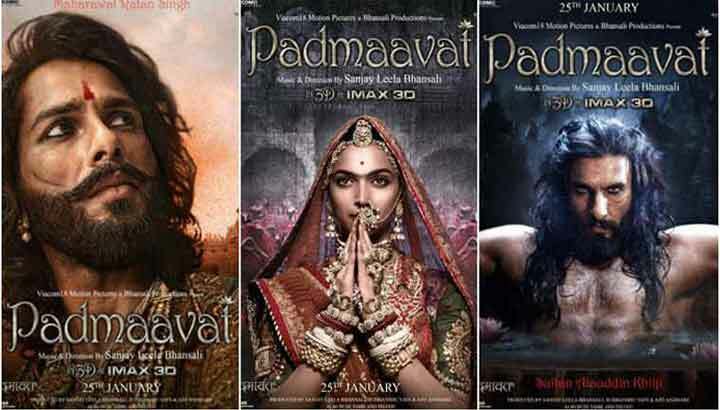 As there are no major releases in the coming week and only two small films are being released, there may be an increase in the collections of Padmaavat. Padmaavt has not been released in 30-35 percent of India, but still, the producers of the film will not be hurt monetarily because this film has already been insured against man-made impediments. If Padmaavat will not release in Rajasthan, Gujarat, and Madhya Pradesh the insurance company will have to pay the monetary damage to the producers. Padmaavat is a well-shot film with a huge budget, about 215 crore rupees are spent in making and promoting this film. As explained earlier, this film will be able to make at least 250 crores, which means a share of 115 crores. Its stock share from abroad will be at least 70-80 crores. Two-day collections of Padmaavat in Australia exceeded the lifetime collections of the films like Bajrangi Bhaijaan. The US and UK Box Office Collection are also extraordinary. Other than the theatrical revenues, Padmaavat has got 70 crores from the sale of digital rights because it will be first released on digital later on Satellite. By selling satellite rights, this movie will earn Rs 20-25 crore easily. The audio rights of the film have been sold for 20 crores. And if this film will not release in the states mentioned above, then the insurance company will have to pay at least 50 crores to the producers of the film. So, the total collection of Padmaavat would be 355 crores, which means a profit of 135 crore rupees. this is my one of the best movie.